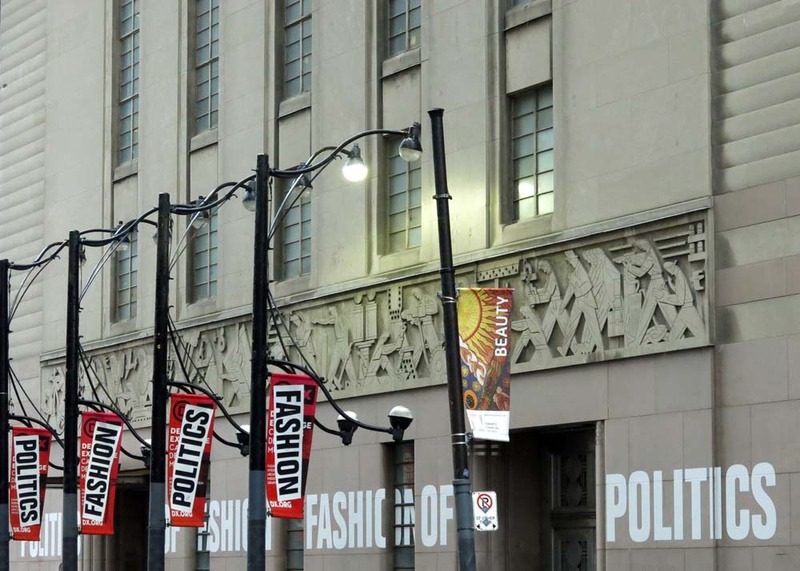 Or the Politics of Fashion at the #Toronto Design Exchange guest curated by the legendary Jeanne Beker. The exhibition studies the use of fashion as a tool in communication and politics by such famous designers as Vivienne Westwood, Jean Paul Gaultier and Stella McCartney. 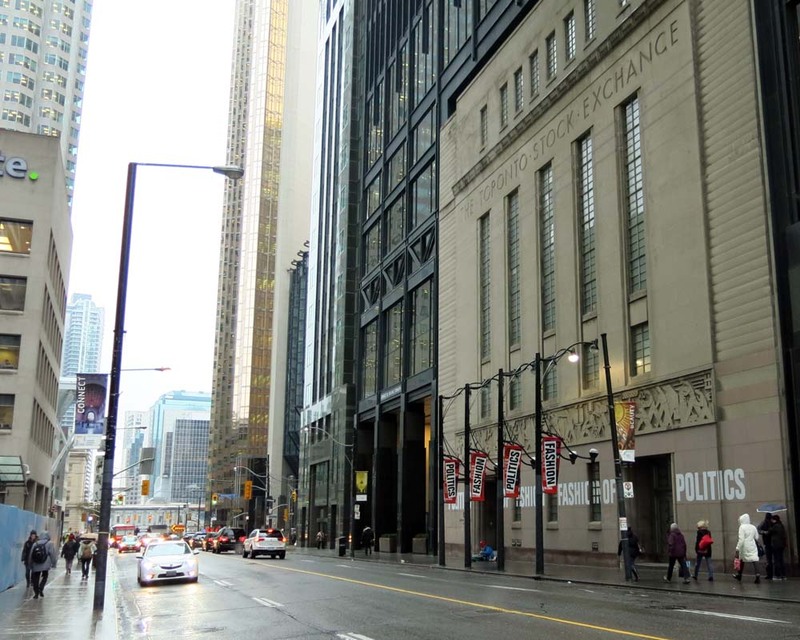 "Spanning 1960 to present day and presenting over 200 works – including Jeremy Scott’s leopard print burqa, promotional paper campaign dresses featuring the faces of Robert Kennedy, Richard Nixon and Pierre Trudeau and Rad Hourani’s slick Unisex Haute Couture collection – the exhibition spotlights the numerous ways fashion has helped ignite political awareness and how politics have dictated style through the decades. 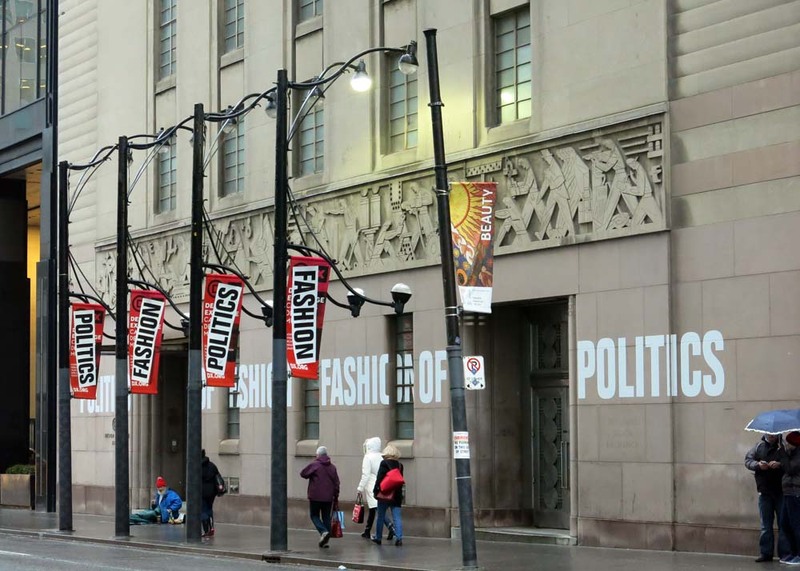 Exploring such themes as activism, consumerism, campaign and power dressing, gender and sexuality, and appropriation, the exhibition provokes visitors to examine how fashion contributes to social progress." The fashionable show runs from September 18 to January 25, 2015.